Rottweilers are famous for their large, muscular build, unique coat colours. Originally bred as herding dogs, today’s Rottweiler is often used as a guide dog, guard dog, police dog, and search & rescue dog. Of course, they aren’t just made for work – Rottweilers are fiercely loyal companions. Despite some portrayals in the media, they are not generally dangerous dogs. As with all breeds, the Rottweiler has potential for aggression if its owner fails to train and socialise it at a young age or assert his or her position as the “pack leader”, but in general, the Rottweiler is a docile and laid-back breed who makes a great playmate for other pets and children. As they are big, active dogs, the Rottweiler needs at least one walk per day.  Therefore, they are suited to individuals and families who are equally as active and who have enough time to give their dog an adequate amount of exercise. Healthy male Rottweilers weigh between 50 and 60 kg and stand at 61 – 69 cm tall. Females weigh in at about 35 – 48 kg and stand at about 56 – 63 cm tall. The average lifespan of the Rottweiler in the USA, UK and Denmark is 8-10 years, but some have been known to live up to 16 years old. In general, the Rottweiler is a good-natured, calm, loyal and obedient dog who is eager to work. They are very alert dogs, which is unsurprising given their use as guard dogs. 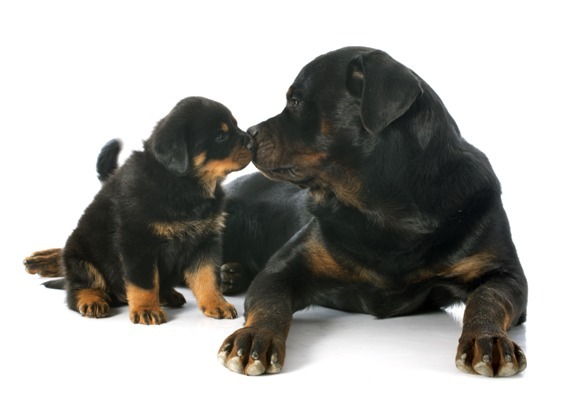 Rottweilers are inclined toward dominance and often test their position in the family. Training is therefore required in order for the owner to achieve “pack leader” status. When humans live with dogs, we become their pack and every member of the pack must be sure to clearly outline boundaries and rules. The dog must always be beneath humans in the pack order. Known for their work ethic, Rottweilers are natural gatherers with a strong desire to control. When herding livestock, they take advantage of their ability to intimidate, and often seek out the dominant animal in the herd and challenge it. Though clownish and playful around family and friends, Rottweilers are protective of their “pack” and territory, and are very wary of strangers until introduced. While they are fiercely devoted to their owners, they have a tendency towards aggression when meeting strangers. However, as with all dog breeds, if the Rottweiler is trained and socialised with other people and animals at a young age, aggression should not be an issue. Aggression usually grows out of abuse, neglect, and irresponsible ownership. According to the CDC, Rottweilers and pit bulls were responsible for 67% of fatal dog attacks in the USA, concluding that these attacks were “breed-specific”. 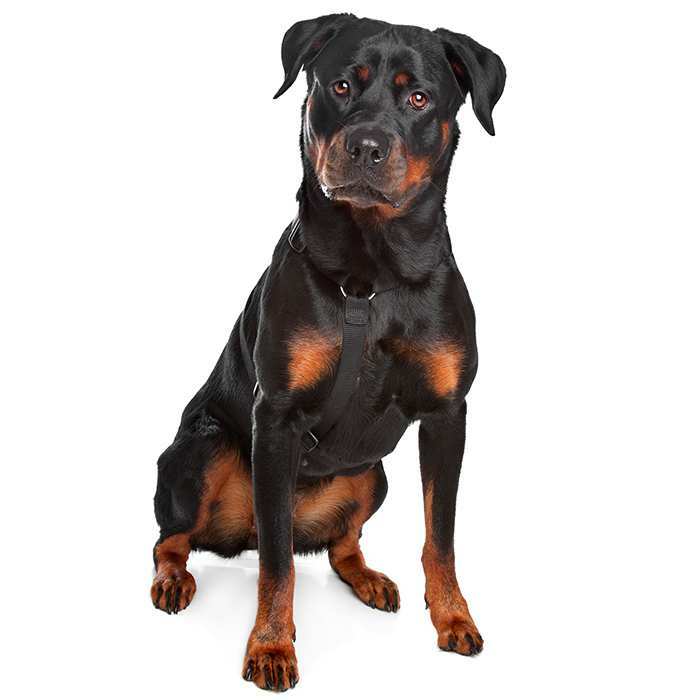 What are the most common health issues for Rottweilers? 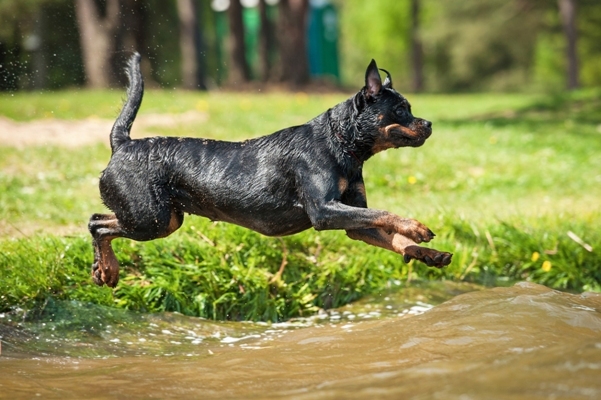 Hip and elbow dysplasia, in which the bones and joints do not fit together properly, can be an issue in Rottweilers, and many clubs have tried to combat this by instituting x-ray testing regimes. Breeders should have the hips and elbows of all breeding stock x-rayed and analysed by a specialist regularly and are able to provide paperwork. Osteochondritis dissecans, which affects the shoulders, can also be a problem for Rottweilers due to their fast growth rate. 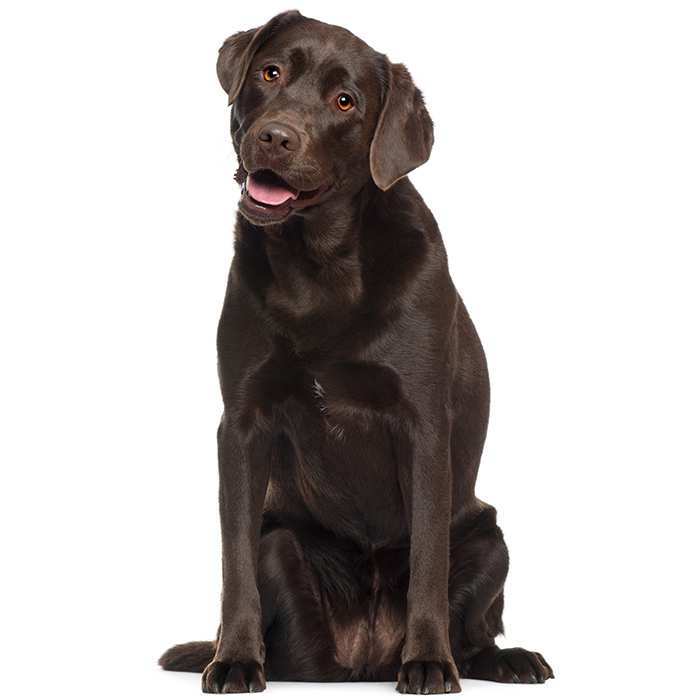 It is caused by inflammation and lesions in the joints, causing swelling, irritation and pain in the dog. 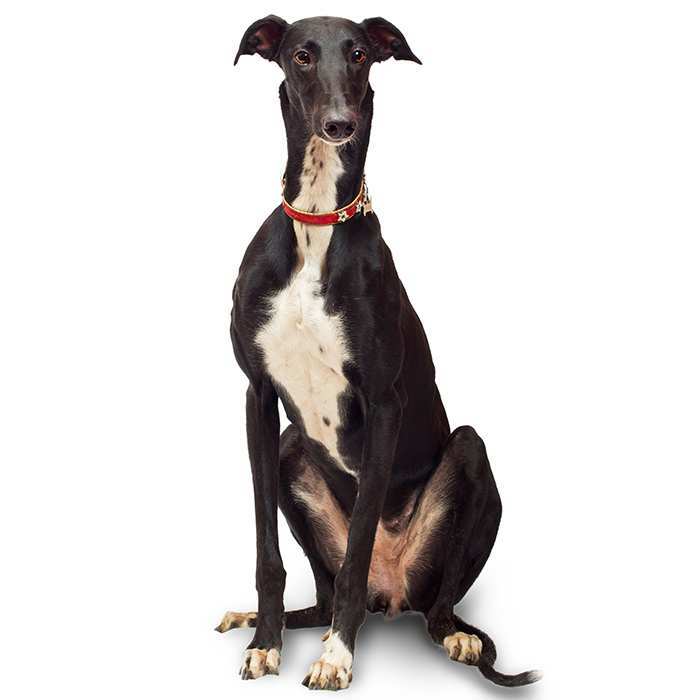 Symptoms include limping, favouring one paw, swelling, and pain when extending a joint. Treatment is available, both surgical and conservative. Cancer is among the most common causes of early Rottweiler death, and they are more susceptible than other breeds. Osteosarcoma, an aggressive bone cancer, is one of the most common cancers in Rottweilers. The first sign is lameness, but x-rays are needed to determine if the cause is cancer. It is treated aggressively, often with chemotherapy and amputation. Parvovirus.  Rottweilers are more prone to parvovirus infection, a highly contagious disease responsible for the deaths of many puppies and young dogs, but which can be prevented with a vaccine. It has an 80% fatality rate and can kill within days of infection. Symptoms include loss of appetite, depression, fever, dehydration, lethargy, bloody diarrhoea and serious vomiting. Other Issues. Overfeeding and under-exercising can cause obesity in the Rottweiler, and this in turn can cause serious health issues such as arthritis, breathing problems, diabetes, heart failure, skin disease and a compromised immune system.  Breeders should have certificates indicating their dogs do not have entropion or ectropion and have a full and complete dentition with a scissor-bite. It is likely that the Rottweiler dates back to the Roman Empire as a descendant of ancient Roman drover dogs. During their conquests, Roman soldiers would take with them herds of cattle in order to have a source of fresh food. Rottweilers were brought along to herd the cattle and keep watch overnight. Around the 1st century, the Romans and their Rottweilers made their way to Germany. The Romans were driven out but their dogs remained. They were named after the town Rottweil, in which the dogs drove cattle to the market and protected them from other animals and thieves. During the Middle Ages, it is said that butchers used Rottweilers at markets and tied money pouches around their necks to keep robbers away. Once railroads were introduced, however, the need for Rottweilers declined and the number diminished severely. The years leading up to World War I saw a resurgence of the breed to be used as police dogs, guard dogs, messengers and ambulance dogs. The Rottweiler was officially recognised by the AKC in 1931, and as of 2013 it was ranked as the 9th most popular purebreed in the USA. Despite their handsome looks, Rottweilers have some not-so-handsome quirks – namely, drooling and farting. 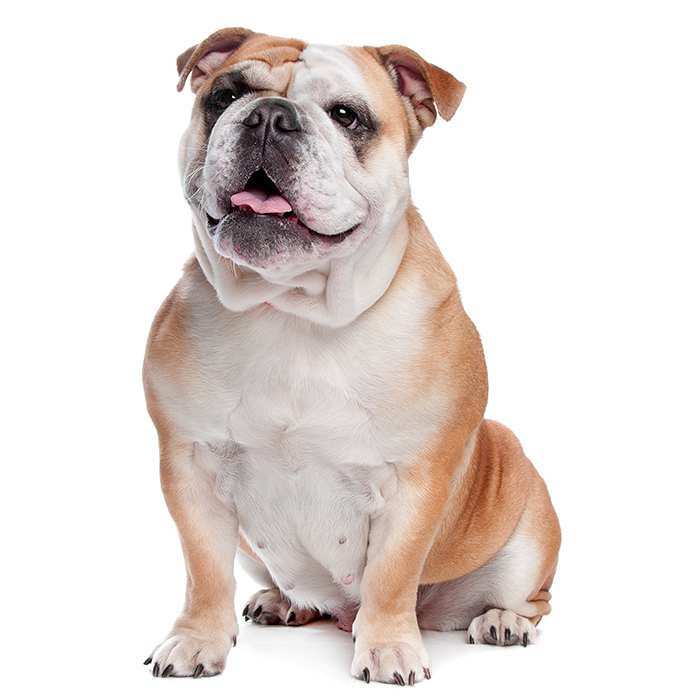 They tend to slobber a lot after eating and drinking – especially big males and females with droopy jowls. Their farts generally call for evacuation of a room, and can be made worse with a diet of corn, grains and high-fibre foods. While Rotties have a relatively bad reputation, they have an incredibly goofy side. They are an incredibly affectionate breed who often forget how big they are and have no worries climbing on your lap and pretending they’re smaller. Rottweilers have one of the strongest bite forces of all breeds – wolves can issue 406 pounds of pressure with their bite, and Rottweilers are only just behind with 328 pounds. We all know about “dog years” (7 for every human year), but did you know that Rottweilers are considered adults after their first year of life (equivalent to 16 human years)? They are equivalent to a 24-year-old when they’re 2 years old, and at the age of 3 they’re equivalent to a 30 year old. Each year after is worth 5 human years. Famous Rottie owners include Will Smith, who owns two, David Beckham, who also owns two, Alicia Silverstone, Freddie Prinze Jr. and Eva Longoria each own one, and Miley Cyrus recently adopted a Rottweiler-beagle mix.